The eye-catching Alpina chandelier from Eichholtz. Cascading tiers of glistening glass form the opulent chandelier. The shimmering droplets hang from a nickel frame Reminiscent of art deco chandeliers from the 1920s, the Alpina will add a touch of glamour to any interior. The indulgent lighting fixture suspends from a 1.5m chain suspension with sixteen light fittings inside for an ambient effect. Add the Alpina chandlier as a striking centrepiece in your living room. Include the Alpina in your bedroom scheme for a luxurious finish. 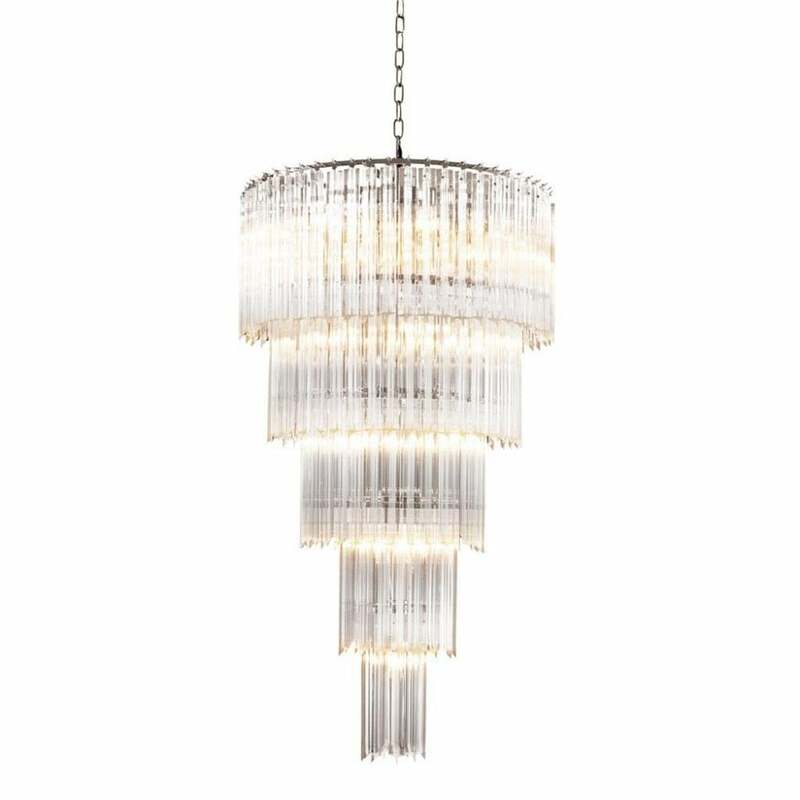 The Alpina chandelier is also available in a smaller size.